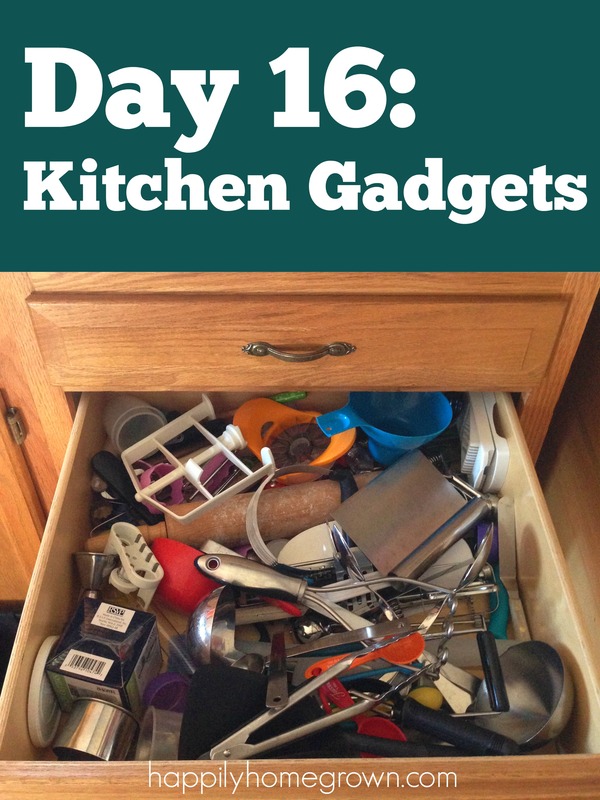 In a few more days we will tackle the inside of the fridge, but first, lets declutter the outside of the fridge. 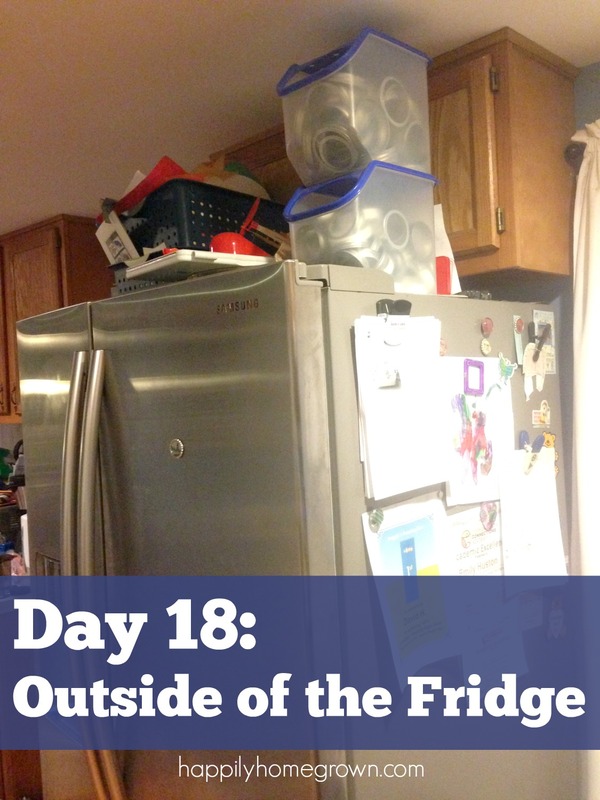 Your assignment for tomorrow, Day 18, is to clear off the top of your fridge, and anything that is currently hanging on the outside with magnets. My children are notorious for sticking magnets all over the refrigerator with random art projects and even scraps of paper. I feel so guilty when I throw them away too. 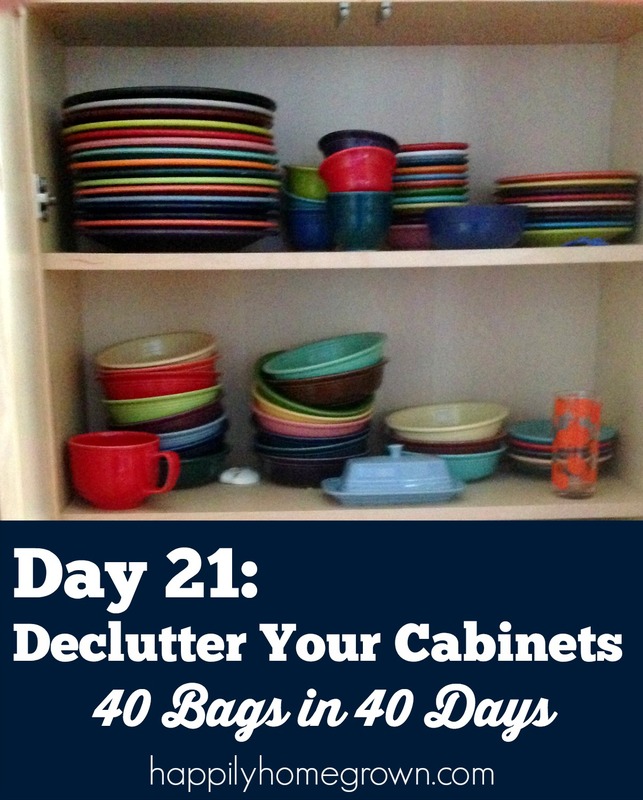 Since everyones level of clutter on the fridge is a bit different, and what you are willing to live with is going to be different, I’ll share my personal to do list, and you can adapt it to fit your needs. I hate having anything on the front of my fridge at all, but I’m ok with having a few items neatly clipped to the sides. I need to take everything off of the fridge, go through and decide if its something I need or something that should remain on the fridge or get trashed. All broken magnets or magnets from businesses are going in the trash pile. 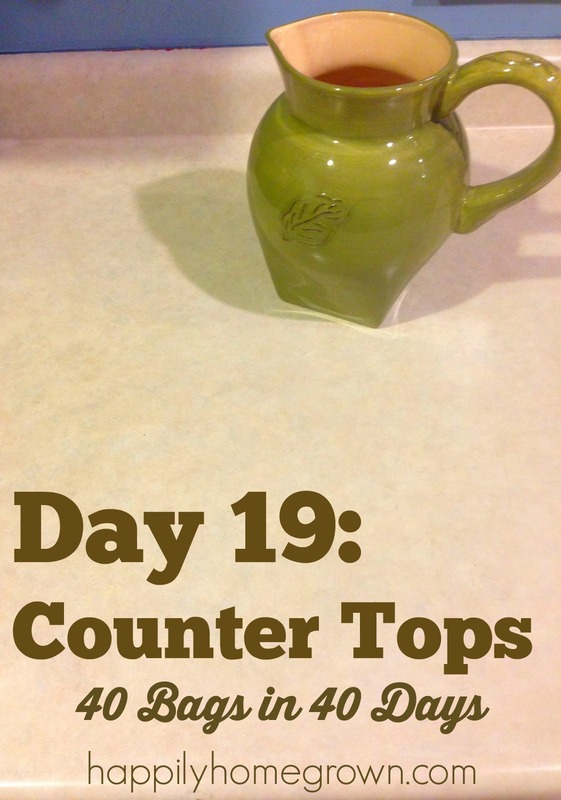 As for the top of the fridge, this is my biggest challenge. I have bins of my children’s preschool art work up there that I have yet to go through. Here’s the catch, they are now in 1st & 2nd grade! Those bins have been up there for at least 3 years at this point. I need to go through them, keep the photos and a few of my favorite pieces, and then everything else needs to go. I have art portfolios to put the items I want to keep into. I’m not sure if I’m emotionally ready to do all of that tomorrow, but we shall see. 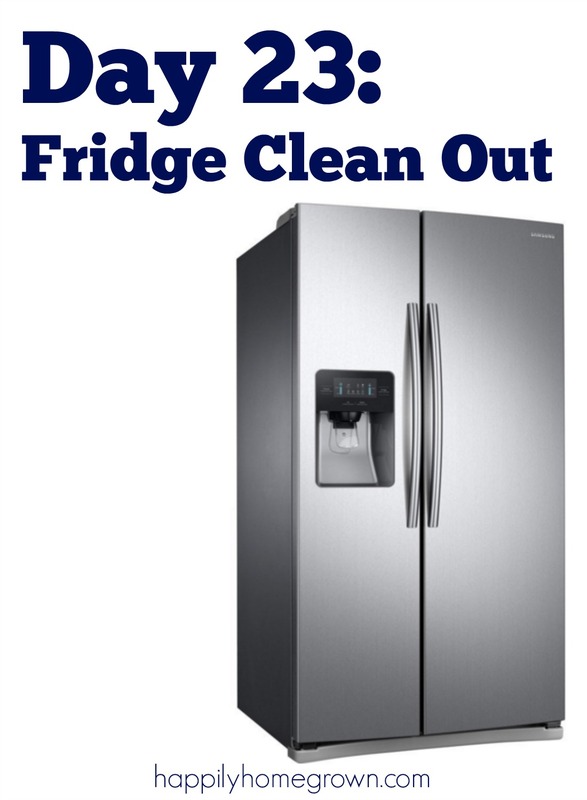 Once all of the clutter has been removed, its time to actually clean the exterior of the fridge. I’m armed with a pile of dust rags and a magic eraser, so I think I’m good to go. For some reason, this decluttering project has me feeling anxious. Here’s to setting a timer for only 10 minutes, and doing as much as we can in that amount of time. At the end of the 10 minutes, I may have to walk away, but at least then things will be better than when I started.